What else is there to do on a Saturday other thank to relax and drink tea? Therefore I am happy to officially kick start this blog with it’s first review. Tea for Taiwan was kind enough to send me three free Oolong samples to try and review for them and after a couple of weeks of waiting in anticipation they have finally arrived. Each tea comes vacuum packed and sealed in cute little coloured bags with the writing in English (which makes things easier for me). 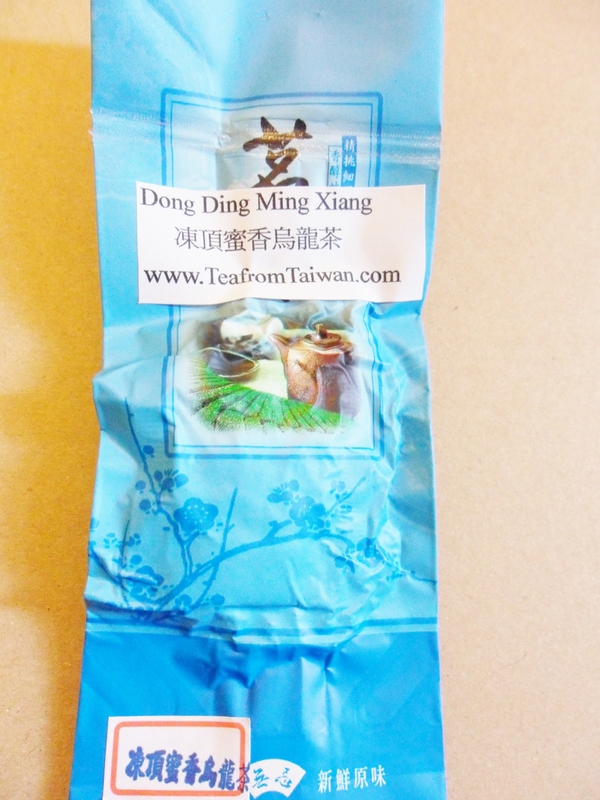 The Oolong that I have chosen to try first is Dong Ding Ming Xiang (冻顶蜜香) . Upon opening the pack this Oolong was beautifully dark green in colour and it oozed a milky/creamy/sweet floral fragrance. Now this has been rinsed just before my initial first steep it’s exuding a strong green and fresh smell, one of the strongest Oolongs I have experienced so far. (The picture below shows the tea pre steep). 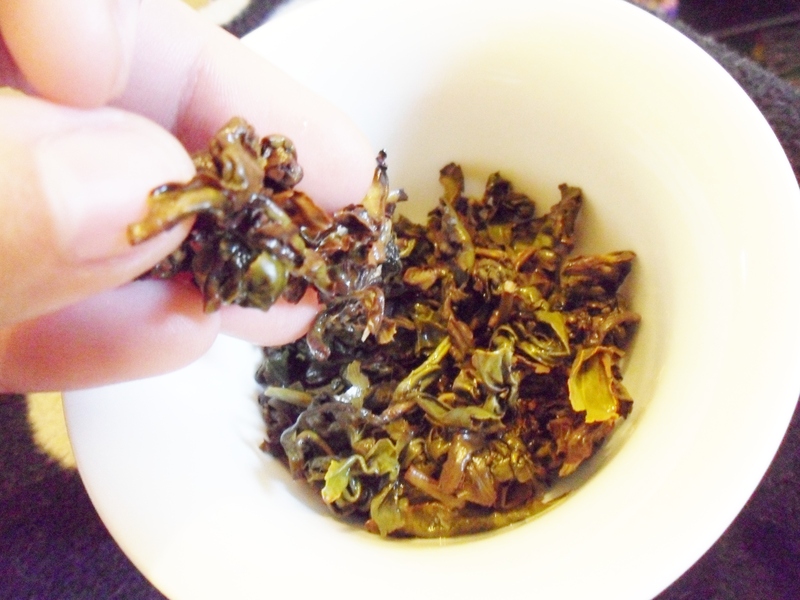 I will do 7 steeps with my gaiwan for this Oolong for the following times: 25s,35s,45s,55s,65s,75s,85s. Also note this is with just under boiling water and with 7g of tea which works out to be a whole sample bag. 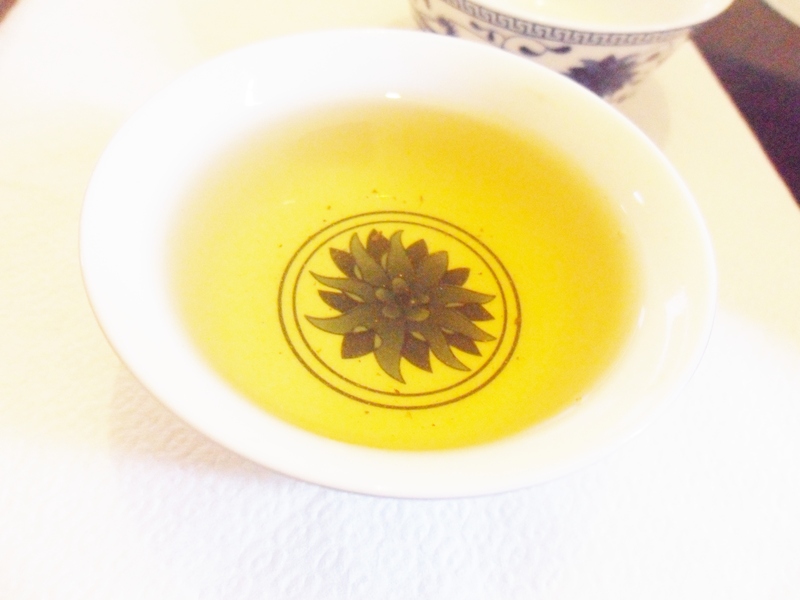 First steep – 25s – The tea is honey coloured with a gentle floral scent. The taste is stronger than the smell, it’s very floral and a little fruity with a toasted tang. 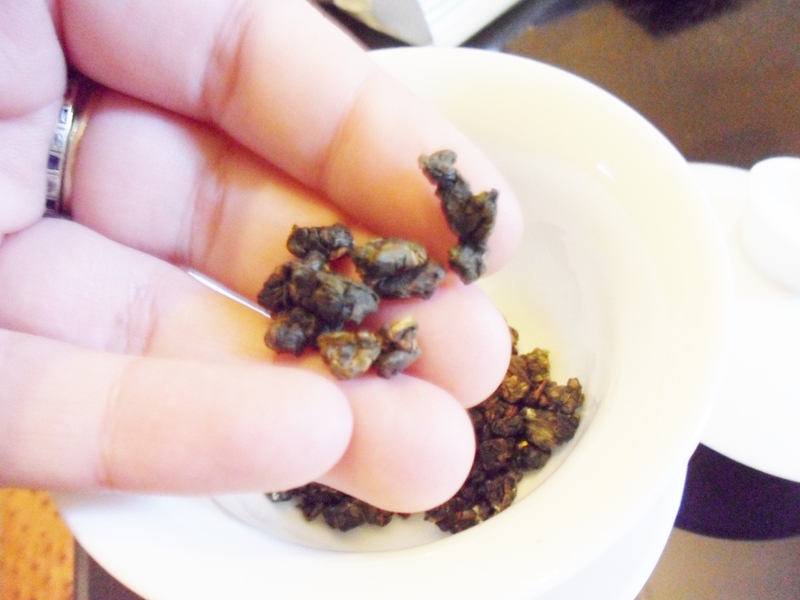 It’s also sweet and fresh tasting, a lovely example of a stronger oolong. Second steep – 35s – Slight more floral now in fragrance. Again the same lovely fruitiness and strength but it’s sweeter than the first steep. It’s a dark sweetness similar to molasses but more subtle and fresh. Third steep – 45s – Now this smells like toasted fresh flowers and has darkened slightly but still remains virtually honey coloured. The green flavour has increased and reminds me of raw broccoli, also the sweetness is being a little overwhelmed by the toasted flavour but the floral notes keep it fresh. Fourth steep – 55s – Same toasted floral smell. Same colour. Perhaps a little dry and nutty could be added to the aforementioned flavours. Still fairly strong and very nice. Fifth steep – 65s – The broccoli elements have more or less gone now and the floral tastes have come back into play with more sweetness. Also just a note about the tea, the oolong itself has now expanded in my gaiwan to reveal dark brown and dark green long twirled leaves. Sixth steep – 75s – More subtle now than the last few steeps. Floral and sweet once more, similar to the first and second steeps. No real toasty flavour or nutiness other than for a second in the after taste. Seventh steep – 85s – Pale yellow now in colour with very subtle floral fragrance. Very gentle and light but keeping the floral tones and sweetness. (The picture below shows the tea post steep). This was my first time trying a Tea from Taiwan product and I would easily say it will not be my last. The tea itself was very fresh and retails at 75g working out to be £15 ($24) without postage. That works out to be roughly 10 gaiwan sessions for £1.50 ($2.40) each one. It’s not cheap nor expensive but you get what you pay for. As this was only the first of my three samples I will be interested to see if the quality is equal and consistent with the other two. All I can say is ‘So far, so good’. Next Post Mad about mint…or just plain mad?